You can rely on Daphne Flowers - Petals Website to hand-deliver fresh flowers and plants to all the major suburbs, hospitals, churches, funeral homes, and nursing homes in the Kalgoorlie, WA area. 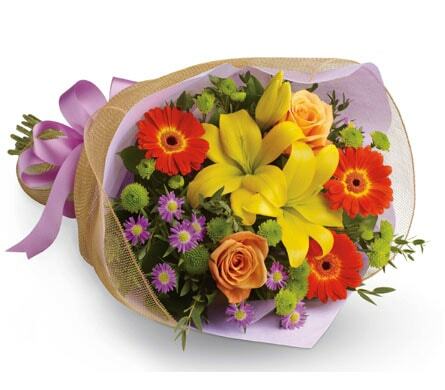 We can send your flowers same-day delivery and next-day delivery to Kalgoorlie and surrounding areas. 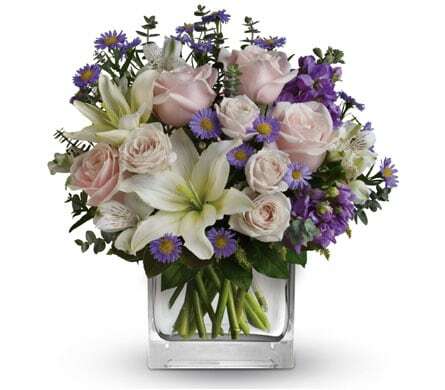 Select Designer's Choice for our freshest flowers, hand-arranged by Daphne Flowers - Petals Website. Please let us know if you have a special request for any of delivery areas we service. Do You Need to Find a Nearby Kalgoorlie Florist? The city of Kalgoorlie is situated in Western Australia, in what�s known as the Goldfields-Esperance region. Over 500 kilometres east of Perth, the Western Australian capital city, Kalgoorlie had a projected population of 32,797 people in 2015. Founded during the Coolgardie Gold Rush in the 19th century, Kalgoorlie is a city with a rich past that still lingers through the streets today. Mining is still a huge industry which fuels the city�s economy, and the city serves as a regional centre for the surrounding localities. Aside from the gold mines, Kalgoorlie is alive with a vibrant culture packed with arts, sports and tourism. One of the popular attractions in the city is Hannans North Tourist Mine. Here, visitors get the opportunity to see what life in the mines is really like, and will learn all about contemporary mining as well as the fascinating history of the area�s gold rush. There are plenty of things to see and do at Hannans, such as climb on a 793C haul truck the way a real miner would, have a go at the game known as �Two-up�, search for gold and listen to legendary tales of gold discovery. The grounds are equipped with a gift shop to ensure that guests remember their visit. There is also a Chinese Garden of Remembrance located at Hannans, where guests are welcome to sit and reflect after using the barbecue facilities. The lush Hammond Park draws in those looking for more quiet and natural recreational spaces to enjoy while in Kalgoorlie. Bordered by red outback, Hammond resembles a paradise with its stretches of grass, idyllic ponds and arrangement of flora and fauna. An indigenous animal and bird sanctuary exists on the grounds, and visitors get the chance to see several animals up close, including emus, peacocks and kangaroos. Children in particular love trying to spot the fish swimming in the waters of the pond. Within the park is also a miniature Bavarian Castle for guests to admire, and to stimulate the imagination of visiting children. The structure is adorned with an estimated 40,000 gemstones, and a sight not to be missed. The park is also equipped with a spacious gazebo area providing shelter, in addition to barbecue facilities. Locals make use of the park for everything from functions, parties and wedding photos to community events. More information on the city of Kalgoorlie and its attractions may be found on the Kalgoorlie Tourism official webpage.